Bristol is home to the Audubon Society of RI’s Environmental Education Center. This segment describes how and why the Environmental Education Center was established, and outlines some of the programs offered at the site. Bristol’s Community Center is only five years young. It is housed in the building that used to be an Army Reserve Base. This segment describes how the Bristol Parks and Recreation Department acquired the building and why it was so important to get it. The segment also showcases the community activities for everyone in town, from toddlers to seniors. Linden Place is an historic landmark located in the center of town. This federalist mansion was built and owned by seven generations of DeWolfs, one of Bristol’s most well-known families. Designed by a local architect, Linden Place was at one time the home of a Rhode Island governor. This story provides a glimpse into the history of Linden Place, the DeWolf family history, and the building’s amazing architecture. 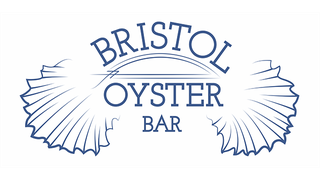 The Bristol Oyster Bar is a self-proclaimed fisherman-to-table establishment. The restaurant owner grew up fishing Narragansett Bay and, building on his love for local seafood, started raising oysters. Shucks, oystering is hard work, but can also be fun and rewarding as this story shows. Roger Williams University, named after Rhode Island’s founder, is one of Bristol’s most well-known landmarks. While one cannot miss the beautiful campus that skirts the town’s coastline, this segment sheds light on the university’s lesser known history, and how its students are connecting with the surrounding community. 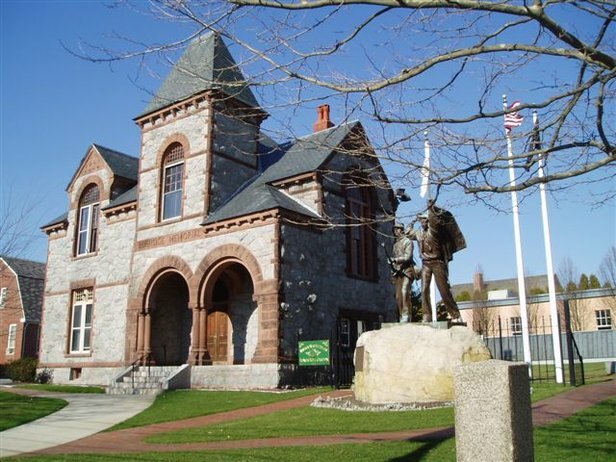 Established in 1776, this museum houses military weapons and artifacts dating back to the Civil War. It is also the current meeting place of the Bristol Train of Artillery militia artillery unit, part of the Rhode Island State Militia. The segment reviews the history of the group and its role today. The East Bay Bike Path is one of the town’s most well-known and well-utilized landmarks. Today, the bike path is used as way to get to, and explore, Bristol. But when it was proposed in the 1980s, there were many Bristolians opposed to it being built. This story explores the controversy surrounding the bike path. Residents of Bristol and surrounding towns are familiar with the house on Route 114 in Bristol with its pink wrought iron gates and the meticulously manicured lawn of this empty home. The Brito family home has been unoccupied – but lovingly maintained – for years. 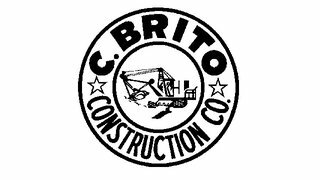 In this segment, the Brito family provides a rare peek inside the home and explains their decision to maintain the home. This story is told by a 4th generation Bristolian who talks about her family history, the town she loves, and the things she likes best about Bristol. Life-long Bristol resident Peter Pardee shared some of his favorite memories before his passing at 93 years old just weeks before the show’s completion. This segment traces the history of the library, including a fire that destroyed the building in 1957. Rebuilt in 1958 for $20,000, Bristolians passed a bond in 2000 to expand, renovate, and add modern equipment to the library. Through fundraising and grants, construction began in 2007 and the newly expanded library was opened in 2008. In this story, the museum’s current executive director chronicles a history of the museum, as well as the Herreshoff Manufacturing Company (the impetus for the museum). Step back in time and learn more about this 45-room summer residence and the family who originally lived there. This story also gives viewers insight into how the home today is used for myriad events, which are open to the community. This segment tells the story of this father-and-sons boat building business in Bristol. Bristol is home to the oldest Fourth of July celebration in the country! This segment provides a glimpse into the history of the parade, and includes a seat at last year’s festivities. 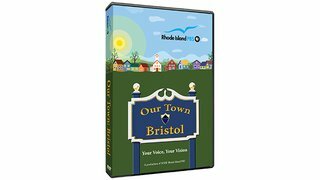 CLICK HERE to own Our Town: Bristol and support Rhode Island PBS. Thank you!